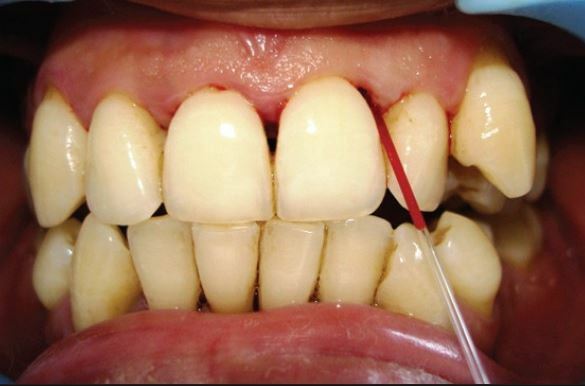 Dental Plaque is defined as a BioFiolm of Structured Resilient Yellow Greyish substance that adheres to intra oral tooth surface or other hard surface in the oral cavity including removal and fixed restoration. Plaque is differentiated from other deposits such as calculus and material alba on the tooth surface. Plaque is found preferentially at protected and stagnant surfaces. The attachment, growth, removal and reattachment of bacteria to the tooth surface is a continuous and dynamic process. Absorption of salivary proteins and glycoproteins, together with some bacterial molecules, to the tooth surface to form a conditioning film (the acquired pellicle). Irreversible adhesion can occur if specific inter-molecular interactions take place between adhesions on the cell surface and receptors in the acquired pellicle. Secondary or late- colonizers attach to primary colonizers (co-aggregation), also by specific inter-molecular interactions. Cell division of the attached cells to produce confluent growth, and a bio film risk of disease. Environmental conditions on a tooth are not uniform. Differences exist in the degree of protection from biological and chemical factors that influence the growth of the resident micro flora. These differences will be reflected in variations in the composition of the microbial community, particularly at sites so obviously distinct as the gingival crevice, smooth surfaces, and pits and fissures. For example, fissure plaque will be influenced more by saliva than other sites, whereas gingival crevicular fluid (GCF) has a greater impact on plaque in the gingival crevice. This latter site also has a lower redox potential (Eh) and is colonized by higher numbers of anaerobes, especially proteolytic species which obtain key growth factors from the catabolism of host proteins and glycoproteins in GCF. Common Bacteria Found in the Plaque: These are the various bacteria present in plaque which colonize to form Plaque. Plaque structure has been studied mainly by electron microscopy. A heterogeneous and a colonial type of sub-structure have been observed in sections of smooth surface plaque. The heterogeneous type is associated with palisaded regions where filaments and cocci appear to be aligned in parallel at right angles to the enamel surface. Micro-colonies, presumably of single populations, have also been observed. In addition, horizontal stratification has been described. The early stages of development results in a condensed layer of apparently a limited number of bacterial types. From 7 to 14 days, the bulk layer forms which shows less orientation but a higher morphological diversity. This layering has been attributed directly to bacterial succession (see below). 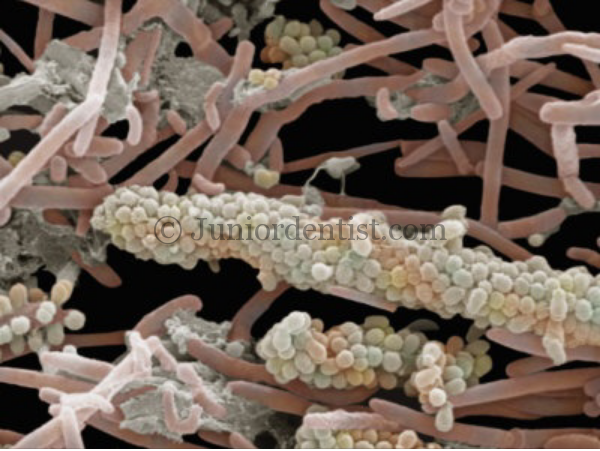 In mature plaque, organisms have been seen in direct contact with the enamel due to enzymatic attack on the pellicle. Electron microscopy has confirmed the presence of an inter-bacterial matrix of polysaccharide. 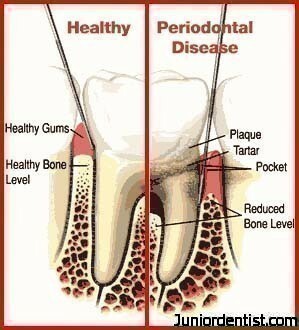 As i always say “Prevention is better than cure”, so here are some tips to prevent plaque formation on teeth. – Use of dental floss regularly at least once a day. Hi Varun Great stuff and photos. I would like to pay you a royalty to use one of your photos, please let me know if you will agree to that and what you are asking? You can use them, no need of any royalty just credit to my blog will be sufficient. Thanks.